The world poker tour and partypoker has announced their upcoming schedule for WPT Vienna. The tournament will kicks off on March 9 and will conclude to March 20 2016. The tournament will be hosted at one of the finest places in Austria that is Montesino Wien. The tournament will have a €3,300 buy in main event and will go through 12 days and 8 various levels. 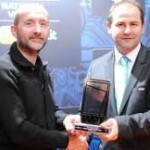 It is expected to be a very popular poker festival and will attract more players than previous WPT Vienna. 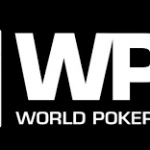 The GM of world poker tour Europe Mr. Hermance Blum has said that this event is going to be very unique because we have made some crucial changes to the events. The €340 buy-in World poker tour Warm up Event will be played for €200,000 guaranteed prize from March 10 to march 14 of the year 2016. The festival starts on March 9 for the WPT warm up event and the buy in is just €32 + €8. Another Warm Up event will be played at 10th March at 17:00 P.M. The buy in is for this warm up event will be €300 + €40 (€200K Guaranteed). March 11 will also see a WPT Warm up for Day 1B to which the buy in is same as previous i.e. €300 + €40 and it will also be a €200K GTD. At March 16 they will host WPT Vienna Main Event Day 1B and the by in is €3,000 + €300. March 18:- WPT 8 Max Day 1 is an event of €1,000 + €100 buys in. The WPT High Roller of Day 1 is of €6,700 + €300 buy in and be played on March 19, 2016. The final of High roller is scheduled to be played on March 20, 2016, whereas the buy in is €6,700 + €300.